Holding point is the most important job your pointing dog has. A pointing dog that busts birds before the sportsman can approach is best relegated to cleaning up able scraps. 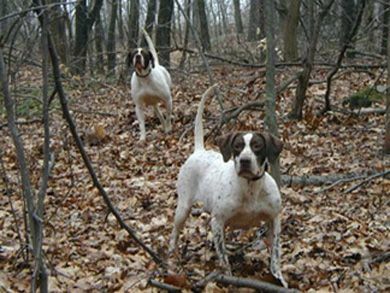 If you aren’t going to train your dog to hold point, leave it home while you go hunting. In my training schools, workshops and previous columns I have stressed the importance of genetics. Genetics plus training and nutrition equal a bragging-rights shooting dog. I encourage everyone to buy a dog with the best genetics they can find (or afford). For me, one indication of good genetics is an untrained dog that hunts with wild abandon, running with an almost maniacal purpose of finding birds. It's easier to reel in a dog than cast it out, and a dog that doesn't venture too far may actually lack hunting desire and drive.